High-top sneakers, skinny jeans, wedges, off-the-shoulder shirts, and cut-offs are proof that if we wait long enough, old styles will become fashionable once again. While that may not always be a good thing, it’s a greater than great thing when it comes to Pour Over coffee. While this method of brewing coffee is all the rage today, it has actually been around for quite some time. It got its start in Germany in 1908 when Melitta Bentz invented the paper filter. It was a huge hit as it prevented grounds from making their way into your cup. As delicious as the coffee was, though, the pour over method was more labor intensive (especially when half asleep in the morning) than the electric drip coffee makers that made their appearance in 1929. And so, its popularity waned, until it didn’t. With the emergence of third-wave coffee shops and the focus on more “handmade” or “from scratch” methods of brewing, pour over coffee made a comeback. Coffee drinkers started to shift from their standard Cup of Joe to high-quality coffee that’s akin to fine wine. They started to discover the many little nuances of the same coffee brewed differently. At the same time, coffee roasters and café owners started experimenting with beans grown in particular areas of the world. They also began trying new roasting techniques, creating unique blends of beans and adding flavoring. It just so happens that the pour over method of brewing brings out the best in beans – enabling coffee drinkers to discover and experience each type’s unique characteristics of smell, color, taste, mouthfeel, and more. It also produces a less bitter brew. Yes, it takes a bit longer to make, but is well-worth those few extra minutes. Once left in the hands of talented baristas, pour over coffee is gaining popularity among home brewers. Want to give it a try? You’ll need freshly ground coffee, a filter, filter holder, water, timer, and a good dose of patience as it takes lots of practice to perfect a brew that’s unique to you. It seems simple, but there’s a science to it for sure. Check out this great (and entertaining) recipe from Serious Eats. You can do it. We promise. Of course, if you’d prefer not to make it entirely by hand, you can try out one of the pour over coffee makers currently on the market. 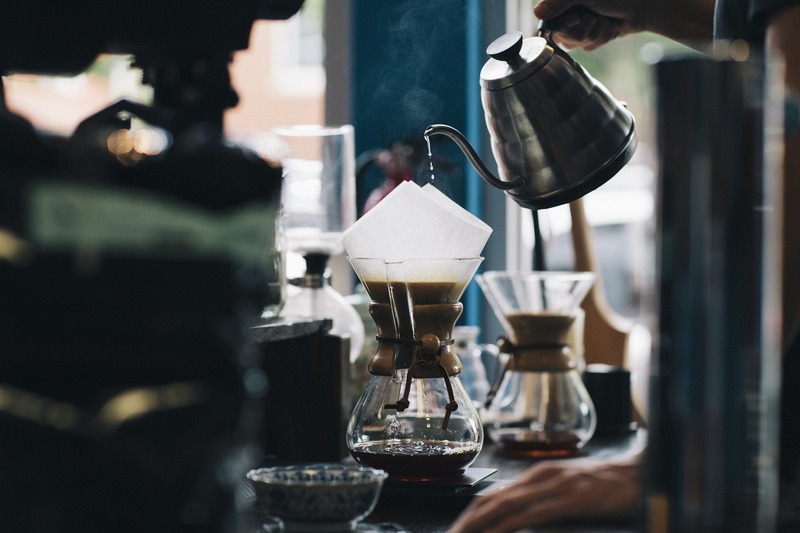 In fact, the emergence of these appliances and others like them is one of the reasons that the pour over method brewing is expected to stay in style. Perhaps it was just ahead of its time. Pour over coffee never tasted so good than when made with Grande Kaffé. Our coffee is specialty gourmet and delivers on quality, freshness and flavor. The Grande Kaffé Collection has delighted coffee enthusiasts for more than a decade. It’s available in over 20 flavors and is packaged in convenient one-pound bags. The best part is that you can order online and have your coffee delivered directly to your door as soon as the next day. Check out our featured coffee flavors and place your first order today.